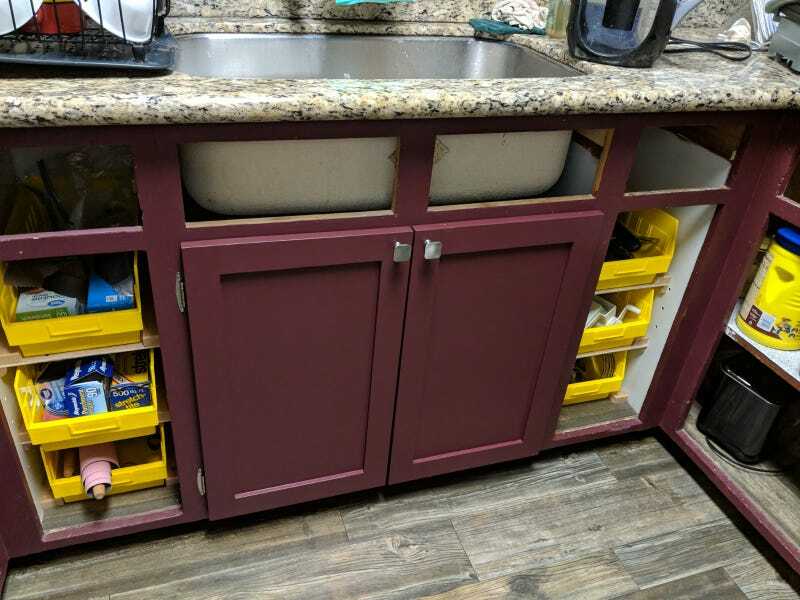 I made those cabinet doors from scratch. Douglas fir. To keep the idiot doggo from raiding the kitchen garbage. I’ll make the rest of them over prob’ly the next two years.